Wednesday, December 12, 2012, 5 p.m.
Free. Photo ID and registration required. 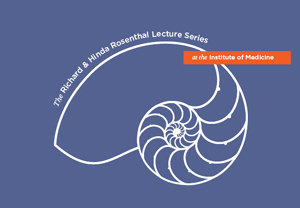 The 2012 Rosenthal Lecture will focus on how the language of the entertainment arts informs our cultural understanding of end-of-life care. Through the screening of clips from the film Beginners and television medical dramas, and a live theatrical performance reading from Sophocles' Philoctetes, the Rosenthal Lecture panelists will explore the various ways the entertainment arts can provide a platform for an engaging and compelling conversation about end-of-life. The panel will approach the conversation through the lens of the patient, the family, the provider, and the community.